Most shooters and hunters are well served by the large selection of standard riflescopes on the market, and usually choose something like a three to nine variable with a one inch tube. For the typical hunter or casual shooter, this is just fine, and will give years of reliable service. 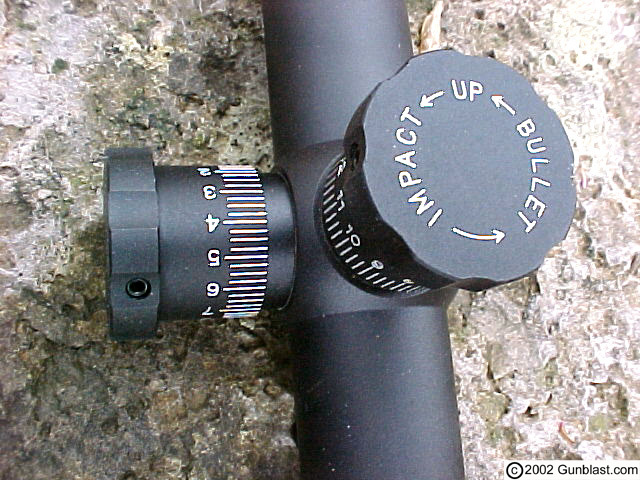 There are, however, certain situations in which better optics are almost a necessity, such as long range, precision shooting at targets on which shot placement is critical. In such a precision shooting situation, the shooter needs the best of equipment. A rifle capable of minute-of-angle accuracy out to 500 yards and beyond, with the capability to neutralize the target, whatever it may be, with one well-placed shot, needs only the best of sighting equipment. This is where the typical hunting scope from the discount store just won’t cut it. Such a situation calls for a purpose-built scope that will deliver precision, while at the same time be rugged enough to endure a bit of rough handling. 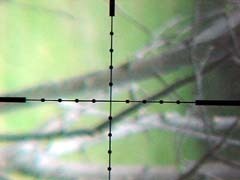 The typical target scope, while offering great precision, is not built to withstand the rigors and abuse that sometimes is heaped upon tactical equipment. A long range tactical shooter needs a rifle, scope, and ammunition package that can be depended upon in all conditions, every day. The best rifle, shooting the best ammo, is next to worthless without quality optics. Whether the shooter be military, law enforcement, or civilian, the needs are much the same. If there is a need to really reach out and place the bullet precisely, the equipment must be up to the task, as well as the shooter. It is beyond my understanding that many readers contact me for advice on the best rifle or ammunition for long range precision shooting, but almost never mention the scope and mounts for such a rig. 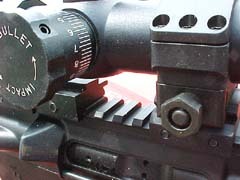 An accurate rifle without accurate sighting equipment will not deliver the bullet to the desired target. If a deer hunter misses his target by two inches at 100 yards, it is no big deal. Two inches at 100 yards, however, becomes ten inches at 500 yards, and depending upon the target, can be a very big deal. A police sharpshooter, for instance, must be able to place his shot precisely, on time, every time, or the consequences can be tragic. His scope must be capable of delivering a clear picture of the target, have repeatable settings, and sometimes calculate the distance-to-target. It should also be rugged, dependable, and easy to use. 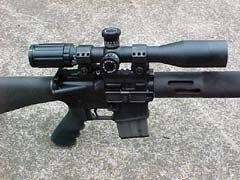 There are several good scopes available which can fill the bill, but unfortunately most cost as much or more than a good rifle, starting at about 800 dollars and going up from there. High cost is usually no problem for our military or large metropolitan police departments, as they are spending tax-payer money like there is no tomorrow. However, for a small police agency or civilian on a budget, cost is always a factor. There is, however, one scope on the market that fills the needs of the precision shooter that is a genuine bargain in today’s high quality scope market, and that is the Tasco Super Sniper riflescope. These scopes were originally made to fill a military contract a few years ago, and have since been built exclusively for SWFA in Texas, which is selling them at a fraction of the original price. 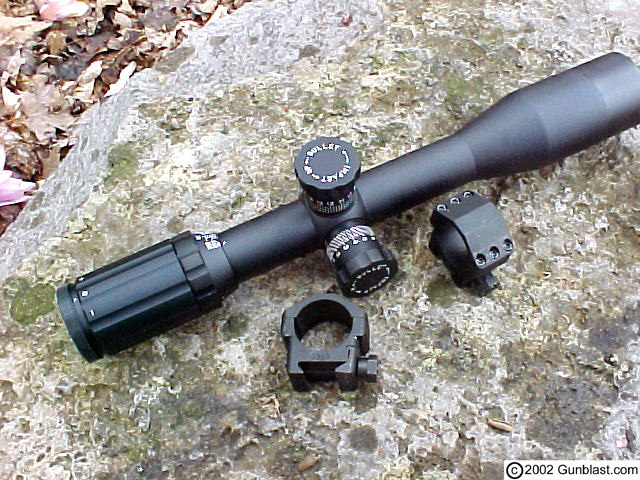 SWFA sells just about every major brand of high-end precision optics for shooters, and at great prices. They recently sent to me for testing the ten power Super Sniper along with a set of Badger Ordnance 30 millimeter scope rings, which are, by the way, some of the finest, most rugged, and strongest rings ever built. As you can see in the photos, these all-steel rings are built to withstand the recoil of any rifle ever made. They are the perfect compliment to the Super Sniper scope. The specifications of the Super Sniper meet the qualifications of a world-class tactical riflescope. The Super Sniper features a 30mm tube for great light transmission and a full 120 minutes of elevation adjustment, eliminating the need for adjustable or shimmed mount bases in all but the longest range shooting. 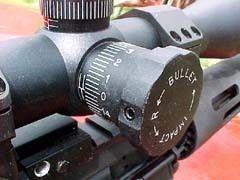 As would be expected in such a scope, the Super Sniper features a Mil-Dot reticle for precise range estimation out to 1000 meters and beyond. 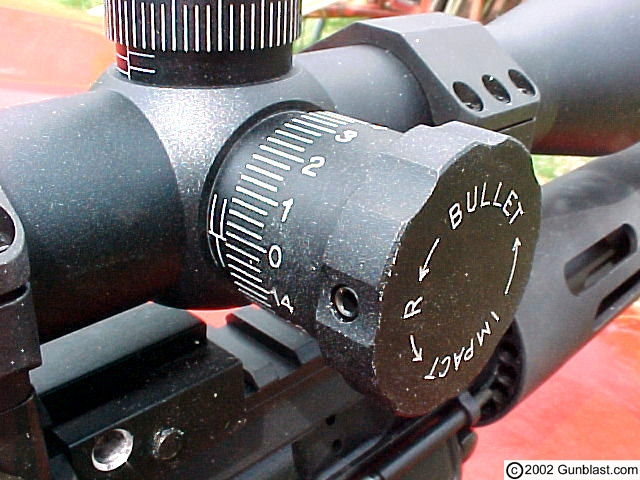 SWFA also sells the excellent Mil-Dot Master, for quick and easy use of a Mil-Dot reticle. The Super Sniper also features a full four inches of eye relief, which is very helpful on heavy-recoiling rifles. The Super Sniper is, by the way, rated for .50 caliber BMG recoil. 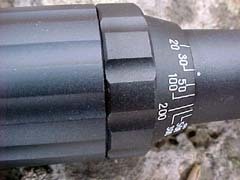 While the Super Sniper scope has a short built-in sunshade, it is also threaded to accept the accessory sunshade sold by SWFA. 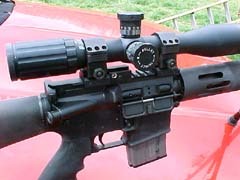 For testing, I mounted the Super Sniper on my very accurate Bushmaster Varminter rifle (see Jeff's article at Bushmaster's New "Varminter" Rifle), using the Badger Ordnance rings provided. The rear-mounted parallax adjustment proved very handy, and has settings from 10 meters out to 500 meters, plus infinity. 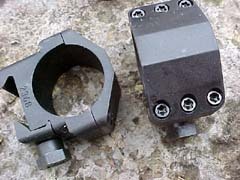 The generous eye relief simplified mounting without interfering with the charging handle on the Varminter. The robust adjustment knobs for windage and elevation are some of the best that I’ve ever used, providing precise sighting adjustment and repeatability. In use, I found the Super Sniper from SWFA to do everything needed from a ten power long range tactical precision scope. 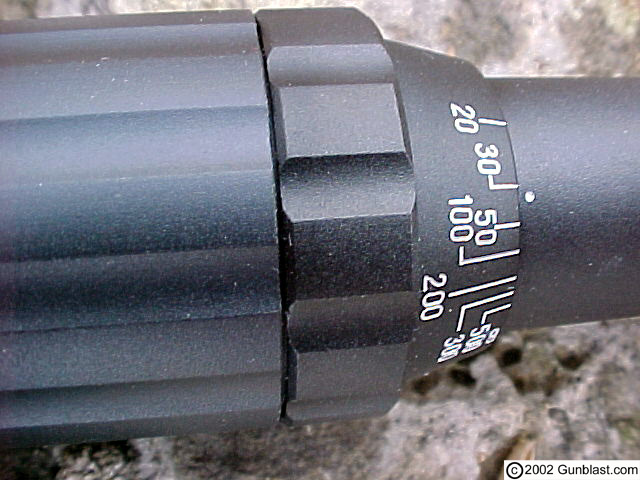 At just under 300 dollars, it is most likely the best buy available in a high quality precision scope. It is the equal of scopes selling for three times the cost, and is available only from SWFA. Check out the extensive line of quality optics from SWFA online at: www.riflescopes.com. Tasco's Super Sniper rifle scope, available only from SWFA, offers supreme precision and rugged reliability at a bargain price. The robust and positive turret adjustment knobs of the SWFA Super Sniper are among the best the author has ever used, providing precise adjustment and repeatability. Easily accessible parallax adjustment ring is vary handy, allowing adjustment from 10 meters to 500 meters, plus infinity. 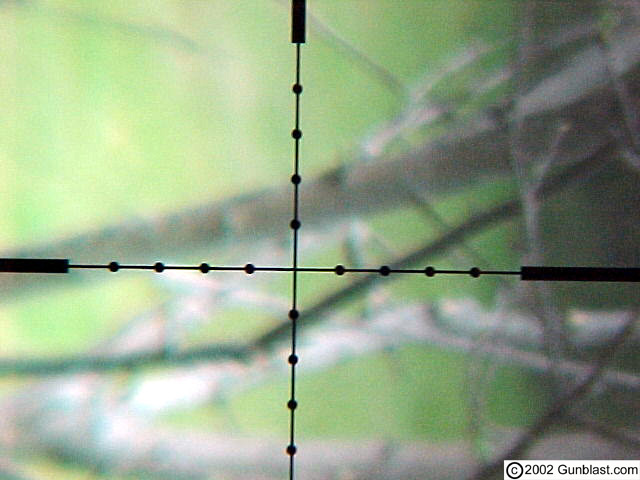 Excellent Mil-Dot reticle is a valuable aid for precise sighting and range finding. Badger Ordnance rings, available from SWFA, are the perfect compliment to the Super Sniper. Strong and rugged, these rings can take it if you can dish it out! When mounted on a quality rifle such as Bushmaster's Varminter, the SWFA Super Sniper scope completes a package of ultimate accuracy, precision and reliability. The Super Sniper represents a good value, the equal of scopes costing up to three times its price.